This week I have been thinking about Thanksgiving and, more specifically, the harvest. Maybe you have seen in the news stories about how many of the biggest chain stores are moving up Black Friday shopping to start on Thanksgiving. In the last few years, some of the stores opened at midnight on Black Friday; this year many of them are opening on Thanksgiving at 6 or 7 pm, some even earlier. Although I am not a big fan of Black Friday shopping, I know a lot of folks really enjoy it, and really look forward to it as part of their holiday. But opening the stores on the evening of Thanksgiving is a big mistake. Let me tell you a story about an iguana to help me tell you why. Stick with me here, it’ll be worth it. 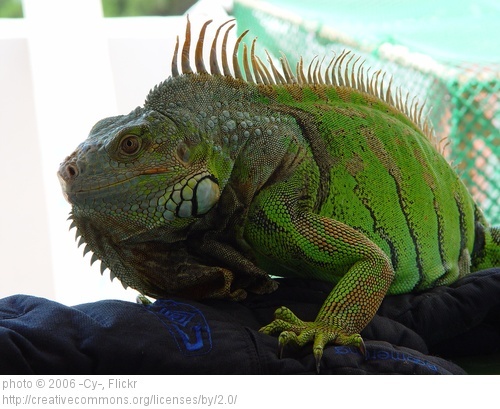 When I was teaching junior high science, the teacher next to me had a pet iguana named Sam. Sam was about three and a half feet long and lived in the windowsill of the classroom. As classroom pets go, she was pretty awesome. She was not caged because she was not a flight risk. She sat there in the sunshine or under a heat lamp, never really moving, but adding an air of ‘nerd-cool’ that every good science room needs. Her dietary needs were simple, and the cafeteria ladies were happy to set aside the fresh fruits and veggies she ate. There was one strict rule about feeding her though. She was never, ever fed iceberg lettuce. Evidently iceberg lettuce has no nutritional value for an iguana, and not only that: if she was exposed to this iguana delicacy she will lose her appetite for all other foods. She would gorge on iceberg lettuce, but still starve to death. She would eat it TO THE EXCLUSION of what was actually good for her. She was enticed by the wrong crop. Thanksgiving is a celebration of the harvest. The harvest feast is not only food. It should be of all our best crops- family, time together, laughter, togetherness, and most of all the thankfulness for them. It is a great thing to take a day to be thankful for these things. They are the ‘crops’ that are good for us. They are the ones that really matter. They are the ones that really ‘feed’ us. Black Friday shopping is fun. And I know that to a lot of us, it might feel good to escape your family early on Thanksgiving Day to go shopping, or even go with them as part of the holiday. But starting that consumer driven, materialistic, tradition of Black Friday shopping on Thanksgiving says something about us as a culture. It says this: being thankful isn’t important enough to have its own day. It says that skipping being thankful in favor of getting more meaningless, useless things is okay with us. Thanksgiving is a day of feasting, and by skipping it we are harvesting the wrong crop. We are harvesting and consuming a worthless crop (iceberg lettuce) to the exclusion of what is a good crop (nutritious iguana food). One more thing for those of you who aren’t convinced and think ‘Oh well, people can do what they want’ or ‘I can celebrate and still shop!’. I was at the Walmart yesterday and as I was checking out, I asked Sara, my cashier, if she now had to work on Thanksgiving. She is working from noon until 9 pm. Her Thanksgiving is ruined. She averted my gaze and blinked away tears when she told me that it was her first Thanksgiving away from her 4 year old and 7 year old sons, but that she had no choice. America, we are harvesting the wrong crop this year. Taking a trip down memory lane to Thanksgiving when I was a young girl, today’s Holiday pales in comparison to the ones I remember. Anticipation for Thanksgiving was the family all being together…all of us in a little cramped house and we were not even aware of it. Money can’t buy the memory nor would I want to trade it.